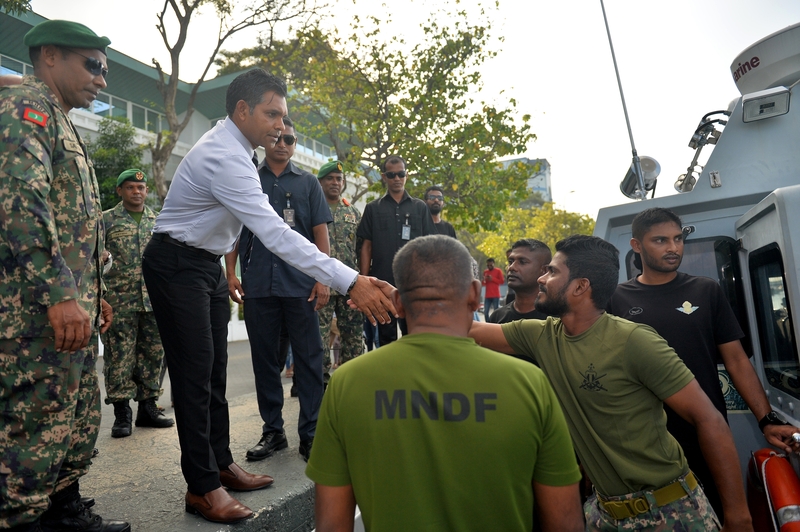 Vice President Faisal Naseem has today visited the place where the Coast Guard brought the people injured by a fire on ‘Ravaanaa’ boat. 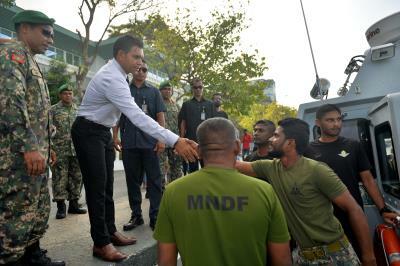 He also spoke to those injured and inquired about their state of health. 'Ravaanaa' boat was a cargo boat based in Fuvahmulah and had been en route to Vaanee, Dhaalu Atoll, after departing from the Capital city of Male’ when it caught fire.